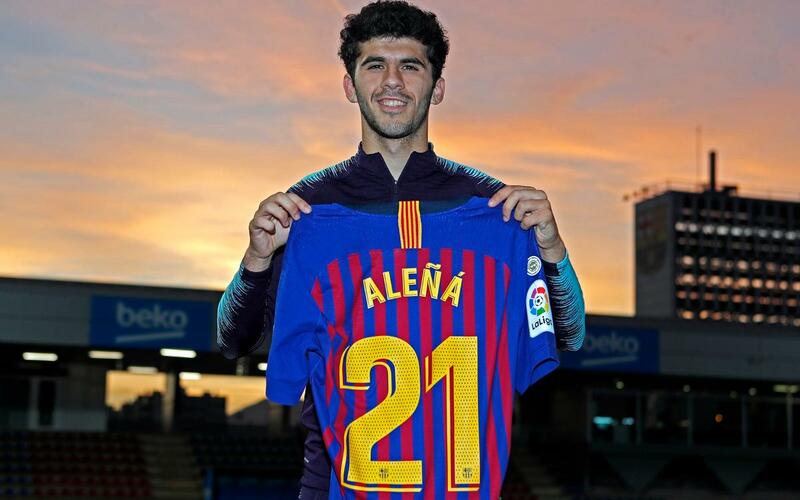 FC Barcelona have officially registered Carles Aleñá with La Liga as a member of the first team squad, wearing number 21 as a replacement for Rafinha, who is out for some time through injury. The Masia product was already part of the first team set-up despite officially being registered as one of Barça B in order to ensure the playing time he needed after recovering from an injury of his own. But from now 20-year old will be part of the team with every right. The number 21 shirt has been vacant since André Gomes left for Everton in the summer. Aleña thus becomes the eighth player to don that number, following on from Robert Prosinecki (1995-96), Luis Enrique (1996-04), Liliam Thuram (2006-08), Alexandr Hleb (2008-09), Dmytro Chygrynskiy (2009-10), Adriano (2010-16) and the aforesaid Gomes (2016-18). Wearing 26 at the time, Aleñá scored his first goal at the Camp Nou last Sunday against Villarreal, in what was his tenth appearance in total for the senior team (five in La Liga and five in the Copa del Rey). He made his debut in the 2016/17 cup fixture against Hércules, and was able to celebrate the occasion with the equalising goal – and a fine goal it was too.